Maritime workers are vulnerable to injuries stemming from the loading and unloading of container vessels. Slip and fall hazards. Poor ship design or maintenance can result in slip and fall accidents. Falls often cause knee injuries, torn ligaments, wrist and ankle sprains, and back injuries. Shifting containers. When shipping containers aren't properly secured, they can shift and fall. Since these boxes often weigh more than a ton, maritime workers struck by them may sustain devastating spinal injuries, brain injuries, and traumatic amputations. Explosions. Heavy machinery malfunctions may occur when equipment is defective or poorly maintained, resulting in fires and explosions. Many of the materials transported by container ships are flammable and explosive, and may cause serious burn injuries. Crane accidents. Cargo vessels and docks are typically equipped with cranes in order to expedite the loading and unloading of shipping containers. Lack of maintenance or improper operation of loading cranes may result in serious injuries, including broken bones, severed limbs, and spinal cord damage. Gangway accidents. Gangways are frequently used by maritime workers to board cargo ships, and their safety is regulated by the Occupational Safety and Health Administration. Gangways can fail due to improper maintenance and wire rope breakage, causing falls that result in head, neck, brain, and spinal injuries. Fatigue. Maritime workers routinely perform strenuous work, leading to extreme fatigue. This can cause serious accidents, particularly near the end of a shift when workers are exhausted. 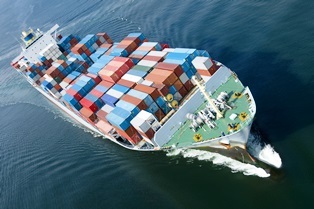 Shipping companies have a duty to keep their workers safe while transporting goods on container vessels. When they fail to do so, they can be held accountable for any injuries that result. If you were hurt in a container ship accident, you’re entitled to seek compensation for medical bills and lost wages. To learn more, contact the law offices of Steve M. Lee, P.C., by using the form on this page.